Ibis Birmingham International Airport hotel is an economy hotel located 100m from Birmingham International Airport, within walking distance to the NEC, Resorts World, Genting Arena and BHX train station. 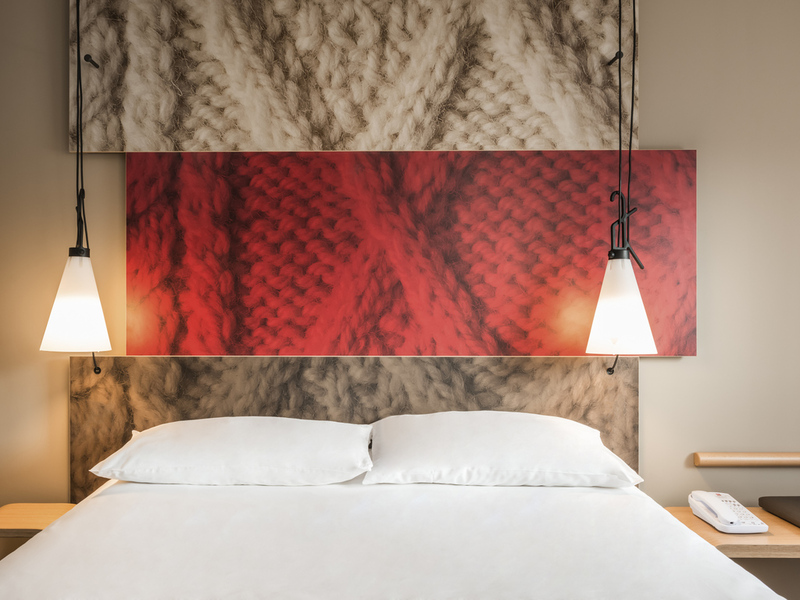 We offer 162 recently renovated bedrooms, free WIFI, restaurant and bar open 24/7. You can pick up a snack or relax with a nightcap in the friendly bar. Please note that the hotel does not have its own car park. We suggest booking parking online with NCP directly. The hotel is ideal for access to Birmingham International Airport, and a free shuttle bus can have you at the National Exhibition Centre or Birmingham International train station within a couple of minutes Various NCP and APH car parks are available just opposite the hotel which are chargeable. NCP CAR PARK PROMOTION (until - 30th April '19)- 50% discount for ibis guests- ask for discount ticket upon check out. About 15 miles east of the city centre, ibis Birmingham Airport is located in the village of Bickenhill. And it's not just about our proximity to the airport: we're also minutes from the National Exhibition Centre, Resorts World and the Genting Arena. I booked online and used the early checkin and checkout. Everything went flawlessly. Everything fine except I would like the room to have been a bit cooler and have a choice of pillow types. Everything else was perfect. Nice receptionists and quiet room on 6th floor away from noise of large loud half term families in the restaraunts area, which was quite small for such a big hotel. This hotel is very convenient but the beds are awful! They are hard even with the topper. We stay here for the location . The food is reasonable and the service good . The problem is drop off . There are restrictions that are not clear. We received a fine for £60 after our friends dropped us off. This needs to be sorted. The room was good and spotless.the staff were very good.the only let down was the cheese burger I had.it was full of grisle and bits of bone. Very good, including meal te night before. Clean and comfortable. The shower/toilet pod was a bit strange but worked well. The only complaint was the phone socket broken, but the staff member we reported it to was very helpful and arranged someone to knock on the door instead of early morning call. All the staff were excellent. Excellent. Booking process, check in and food at hotel we’re all very good. We were staying before an early-ish flight but couldn't get to you until late evening. Easy to find, drop off point right oustside, easy check in, very clean and functional room, helpful staff and we could get a snack at 11.00pm which was brilliant. Good breakfast - kept us going for 8 hours - and easy check out. In walking distance of check in. Thank you Ibis staff. Having an early morning flight this is a perfect location the room is clean and everything you need. Easy accesss and very comfortable. Staff very friendly and cooperative. Check-in was busy and so a little slow but staff were courteous. Room was very comfortable and extremely convenient for early start at the airport. Breakfast was available from around 4am but even though we were leaving at 6am we did not wish to eat this early Happy with the stay. Got a brilliant experience. Nice and affordable breakfast. Comfortable and clean bedroom. Quick check in. Room was very comfortable. Nice bathroom. We enjoyed our stay.